IAFF: Local 2124. Personnel are civilian. Minimum staffing is (7) per shift. 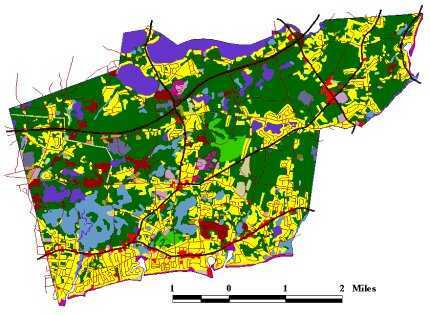 Work week includes (2) 24 hour shifts 0800-0800. BSO - Barnstable Sheriff's Department dispatchers since April 15, 2013. Previously dispatched by Harwich Fire/Police Dispatchers. 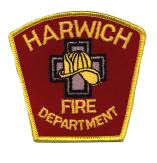 The Harwich Fire Department was established in 1927. The rescue squad was formed in 1948. The Headquarters fire station was at 203 Bank Street. In 1976 Station 2 was built at#149 Route 37 near the intersection of Route 39 in East Harwich. Deputy Chief Robert Peterson promoted to Fire Chief in May 1993 after retirement of Chief Robert Hudson. The New Harwich Fire Headquarters was built in 1995 on Sisson Road. The Bank Street Station is closed. 1985 - Nov 11 - A 4 alarm fire heavily damaged K-D Wood Products at 527 Main Street in a 2100 hours fire discovered by an automatic fire alarm. 1991 - Apr 16 - A small helicopter used for spraying cranberry bogs crashed off Great Western Road with 1 injury. 1992 - Apr 16 - Pine Harbor Wood Products, at 527 Main Street, was struck by fire at 1311 hours. 4 Alarms were quickly struck for a large mill building that sustained $250,000 loss. 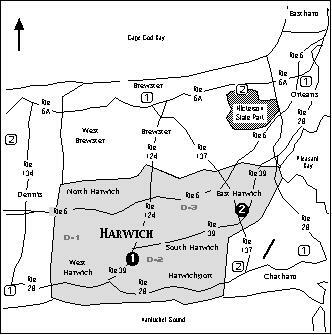 Harwich Fire Radio Call Sign................WPVT 449........... "Harwich Fire"
Harwich Old Fire Radio Call Sign.........KCD 271.............. "Harwich Fire"
Harwich Police Dispatch ID...................KCA 373.............."Harwich Police"